Recorded in September and October 2018 in Schloss Elmau (Germany) and Air Studios in London (England), Seven Days Walking will come out in seven episodes modeled after the days in a week, one episode a month through September. A physical box set of all seven albums will be released in December. Each episode focuses on several main themes, which recur in different forms; seven variations following the same imaginary itinerary. "The idea first came to me as I was listening to the recordings of the first sessions: each version seemed to me to have its own personality, with subtleties so distinct from one another that I was unable to choose which I preferred," says Einaudi. "I associated everything with walking, with the experience of following the same routes over and over, discovering new details each time. And so in the end I decided to thread them all together in a sort of musical labyrinth, a little like stepping inside the twists and turns of the creative process, to understand how a musical idea can develop in multiple directions, and changing once again at the moment in which it is heard." Einaudi will perform this new music across North America in May and June. Following over two dozen European dates this spring that have already sold out, Einaudi's Seven Days Walking Tour will hit select North American cities starting May 31. Highlights include Einaudi's first shows at New York City's Carnegie Hall (June 4), Philadelphia Kimmel Center (June 1), San Francisco's Davies Symphony Hall (June 14), and Los Angeles's Walt Disney Hall (June 16). Full list of dates below. With over 1 million streams a day, the pianist has clocked up a staggering 2 billion streams, making him the biggest streamed classical artist of all time. The Guardian wrote, "If you haven't heard the music of Ludovico Einaudi, then it's probably because you don't know it's by Ludovico Einaudi." His original music has appeared in countless films like Clint Eastwood's J. Edgar and Russell Crowe's The Intouchables, and he has shared bills with pop stars like Lady Gaga, Justin Timberlake and Katy Perry. In 2016, Greenpeace filmed him performing his "Elegy for the Arctic" while floating in the Arctic Ocean as glaciers melt around him to raise awareness about climate change. 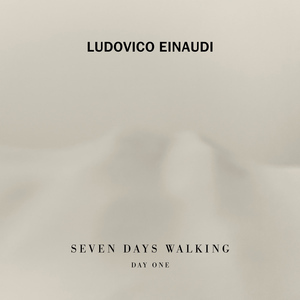 Seven Days Walking could be Ludovico Einaudi's masterwork. Seven albums released over seven months throughout 2019 – variation after variation on a theme, all of them inspired by a winter's walk he repeated over a period of time in the Alps. It's a complete world, dreamed up in seven days. "I hope that you listen to one album one day, and another the next, and can't figure out which is which," Einaudi says playfully, which is a modest comment coming from the world's most ubiquitous classical composer. This is music expressly designed for you to lose yourself in, a vast library of impressionistic pieces – pianistic reflections of moon on snow; an interlude of birdsong replicated in melody; the musical suggestion of fox tracks, recorded with such delicacy you can hear the pads on the keys of his grand piano. On his studio desk in Milan, there's a collection of Polaroid photos the Turin-born composer took on the wintery mountain road in January 2018. There are countless "identical" scenes, rendered unique with the tiniest differences – the smallest sign of a snow-melt; a windsock changing direction, on a slightly darker sky. The natural variations he saw every day fascinated him, inspiring the eleven tracks on the first album, Day One, and the countless versions to be released throughout the year. Many will recall the sight of Einaudi playing his grand piano in the Arctic in 2016 to raise awareness for a Greenpeace campaign. Blinding white space, and white landscape, is a rich creative source for the composer, who studied under the musical visionaries Luciano Berio and Karlheinz Stockhausen. "This is the state that my mind was in when I wrote the music," he says, leafing through the Polaroids. "In the mountains of Switzerland, I had time to focus. In one sense I had a clear direction, but I was searching for a direction too. Your mind starts to wander. Where is the final point? It became a kind of meditation. My thinking was thinking completely free." While Einaudi developed an interest in the minimalism of Philip Glass and Steve Reich in the 1970s, his own compositions have always been more linear, more questing, and sweeter on the ear. He was inspired, though, by the tight, repetitive structure of the mountain concept he'd created: the walk became a journey of the mind, into which numerous musical movements could burst into bud. "Some people prefer to change location all the time," he says. "But even as a child, I did the same walk to school, with little differences, and I enjoyed the repetition. Within the familiarity you notice the changes – the weather, the light, the people." What makes Seven Days Walking unique is the scale and complexity of its variations: dozens of pieces as subtly distinct as those photographs. After his first, three-day recording session, he had six versions of one theme and decided he loved them all. "And from that point on," he says, "I decided that I wanted to make seven albums, and transform this doubt of choosing into a project." It's almost a surprise to hear that the composer – who still writes manuscript by hand, in pencil – records his spontaneous musical ideas on his phone like anyone else. Returning from Switzerland last winter, he settled in to various recording sessions in Italy, Germany and London's Air Studios (the church for reverb, and Studio One for it intimacy) with a stripped down band. His six-strong touring group was reduced to Redi Hasa (Cello) and Frederico Mecozzi (violin and viola). On an early demo for the delicate, hopeful Matches, strings slip and slide around his central piano melody, rapidly finding the harmonics. The two musicians respond to his playing, Einaudi explains, with something like telepathy, preserving the spontaneity of the moment of composition. The first session produced the steadily-intensifying Gravity, in which a fluttering keyboard figure, sounding like snow-fall, deepens into a rich serenade. It was followed by The Path Of The Fossils, a melody of deep, dramatic resonance which recalled another important walk in Einaudi's life – a trail he used to take with his father, as a boy in Piedmont, where together they found fossils plugged into a wall of earth, a remainder from the time that part of Italy was under the sea. So how do the variations work? There are three versions of Low Mist on the first album alone. On Variation 1, its heart-plucking theme is contained in four soft, falling chords. On the second album, Day Two, the character of the piece is totally different, the melody transposed and arpeggiated. The theme crops up again on the fifth album, Day 5, announced by a ghostly violin which scratches like wind. It's like a colossal musical jigsaw. "I like the idea that you get lost," Einaudi says. "Like when you return to a place after six months and there is something familiar, but something has changed. This is a project about memory. Everyone creates their own images – you probably have your own walk, your own background, in mind." As such, Seven Days Walking is a metaphor for the way Einaudi's music works on the mind, going someway to explaining its endless adaptability across the worlds of film and visual arts, and his broad worldwide fanbase, which includes such famous names as Nicky Minaj and Iggy Pop. Increasingly popular with new, young audiences living in a highly connected and technology-focused world, Einaudi's music and live shows offer something meditative, a private space away from distraction. "Listening to live music, everyone can be connected to one sound, but everyone is also able to be alone in the experience, and wander in their thoughts," he says. "Listening to this album is a matter of perception. It offers possibility of thinking about the same ideas with a different perspective. For me, it's a work about how we change, and how we come to see our lives in a different way, over time." He hasn't written the seventh record yet – he's giving the ideas some more space to mature. "I didn't want to create a product," he explains. "I wanted the music to have the vibe of a sketch, drawn for the first time." That's certainly true of A Sense Of Symmetry, whose light melody works like rain on snow, and Fox Tracks, as painterly as a 21st-century Debussy prelude. With its multiple versions, the project recalls an earlier age in rock and classical recording, when music had a greater freedom of form, with long instrumental interludes, and live albums. Einaudi will play – appropriately – seven nights at the Barbican in August. In its live incarnation, the piece will be performed as he originally conceived it – one continual work, without breaks and movements. It's another realisation of a long-held dream, for a composer who is currently writing an opera with the Irish novelist Colm Toibin.